As a busy professional you are likely to be working long hours and struggling to maintain the elusive work –life balance. Making smart decisions at this stage in your life sets the foundation for a secure financial future over the long term. Do you have an adequate level of personal insurance cover? How are you managing your cash flow and are you doing this effectively? What structures are you using for your investments? And have you considered how you can reduce the tax payable on your investments or protecting your investments? Buying your own home or an investment property? Having an appropriate superannuation fund, and potentially consolidating your superannuation funds into the one structure? Assessing whether you invest or repay your debt? The financial planning process starts with an initial meeting (at our cost) to discuss your needs, objectives and financial circumstances. To ensure that this meeting is as productive as possible it is important that you bring along any relevant materials including investment, and insurance statements. 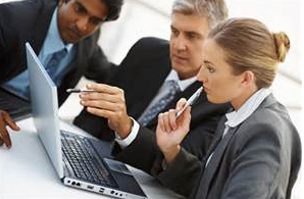 We look forward to working with you and helping you achieve your financial objectives. 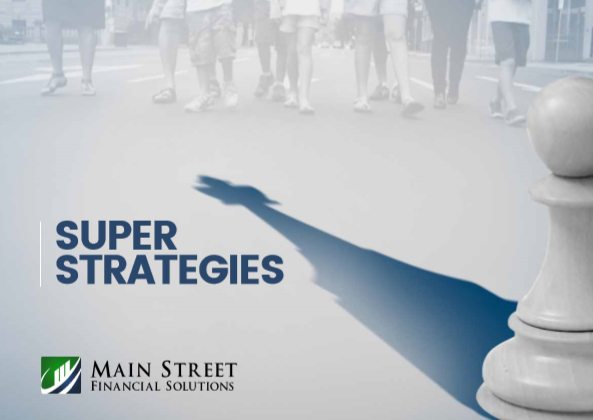 Main Street Financial Solutions is a Corporate Authorised Representative of No. 455759 of Integrity Financial Planners Pty Ltd ABN 71 069 537 855 AFSL 225051. The information on this website is provided as general and factual information and should not be regarded as personal advice. To provide personal advice we need to take into consideration your own personal financial position and goals and provide appropriate advice accordingly. 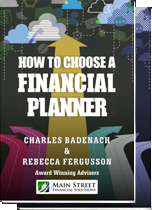 If you would like specific personal advice for your circumstances, please contact us or any other financial planner, financial adviser or any other financial professional. Receive updates with our monthly newsletter and download your e book at the same time ! Recieve monthly and quarterly updatesfrom our newsletter and download your eBook at the same time!